The People’s History Museum display Manchester’s Choices and Chances game! 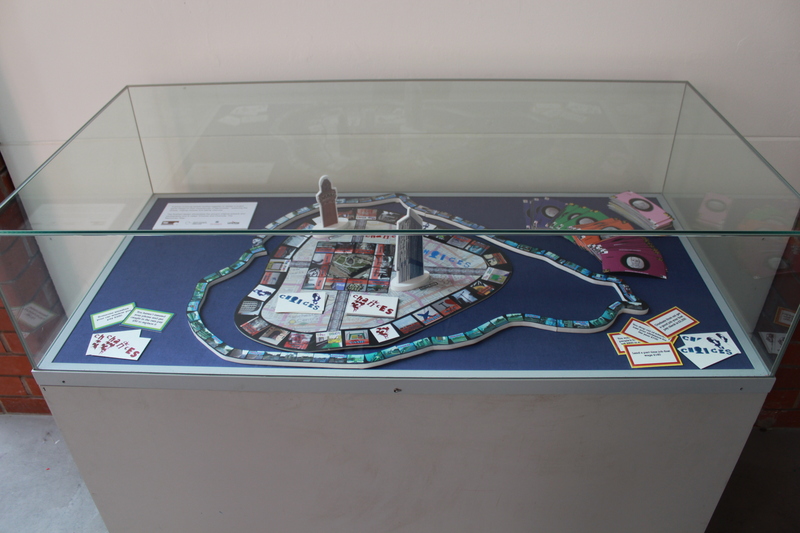 “Manchester’s Summer Arts College was based around the creation of a board game based on Manchester. The young people were the product development team taking photos of places that meant something to them, designing how the game would be played, the layout, colours, name and even merchandise and advertising. The final game is called Choices and Chances and takes players through some of the experiences of the young people in Manchester, rolling the dice and giving them choices and chances along the way.